Follow your musical vision and express yourself with the unique California Series Newporter Player left-handed acoustic-electric guitar. The exclusive medium-sized Newporter shape gives it a balanced voice that’s both articulate and powerful, perfect for backing up any singer. Designed for performing, the fully-painted gloss metallic solid spruce top, mahogany back and sides, matching painted 6-in-line headstock and crème binding give this guitar a shot of electrifying style. Unconventional to the core, the left-handed Newporter Player is definitely something different and exciting. The same no-compromise attitude that gives the Newporter Player its uniquely killer vibe extends to every aspect of its construction. It features optimized bracing for reduced mass and superior resonance, a Graph Tech NuBone nut and saddle for greater sustain and a Fishman preamp system that makes it easy to plug in without sacrificing the guitar’s natural sound. Its lightweight mahogany neck features a comfortable, easy-to-play, slim-taper “C”-shaped profile suitable for any playing style, and its laurel fingerboard and bridge further augment this instrument’s vibrant tone. With its superb playability, distinctive looks and unmistakable Fender vibe, the California Series Newporter Player left-handed acoustic-electric guitar is an instrument that proudly defies acoustic instrument tradition. 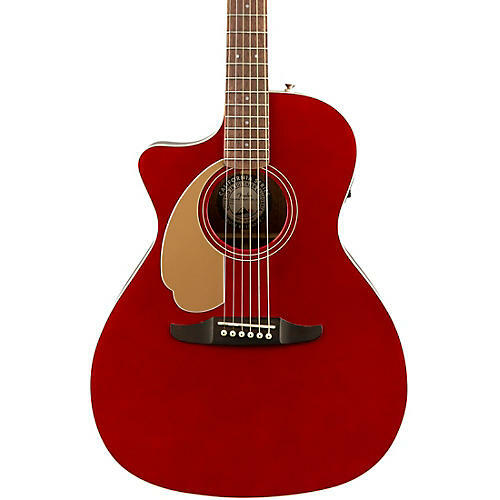 Make this cool guitar yours with a quick click or call.